Surprise! 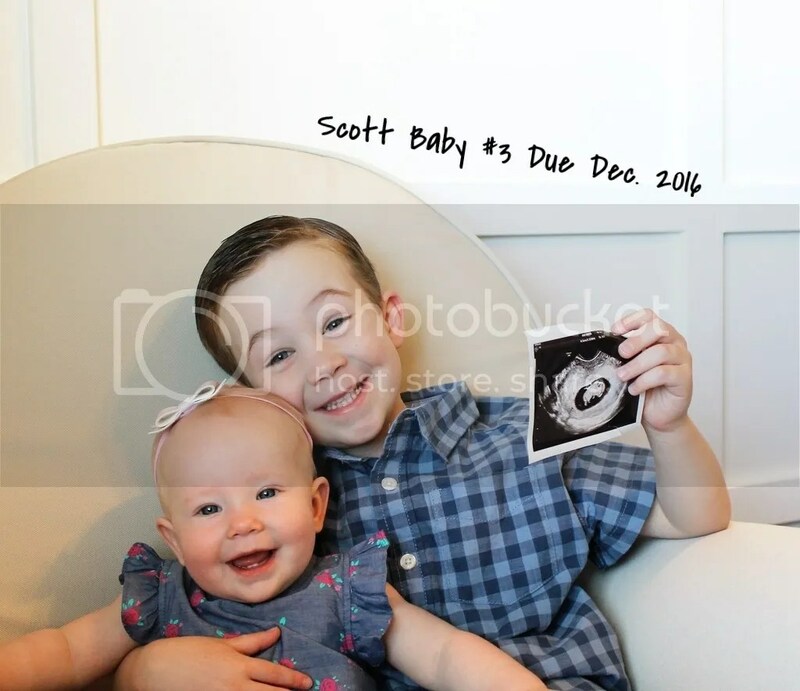 We’re pregnant with baby #3 due December 2016. We are as shocked as probably most of you haha! After waiting 2 years for Lily, we were hoping it wouldn’t take as long with our next. We are so completely excited and a bit overwhelmed thinking about this baby and Lily being 16-17(depending on when the babe comes) months apart. I found out when Lily was about 7 months old and couldn’t believe it. I was nursing Lily and didn’t even take a test till I was about 7 weeks pregnant after my sister Bree urged me to. We were at a family party and I took a bite of pizza and about lost my whole lunch! I didn’t think much of it, till Bree was like, “Um, you usually love food, why would pizza make you gag? Maybe you’re pregnant!” It was then I realized I was about 15 days late! I took a test on Monday afternoon and it immediately showed positive. I called Josh at work and we were in shock and just kept laughing in excitement. 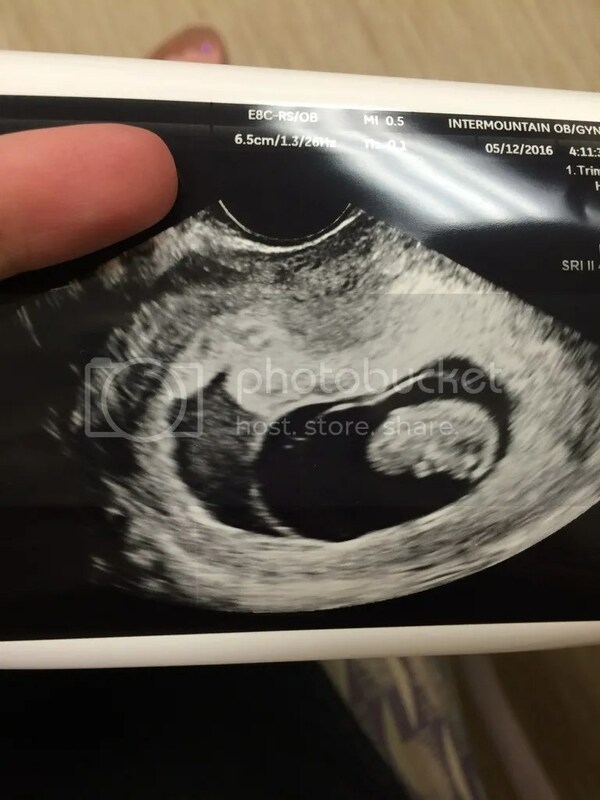 I had my first ultrasound when I thought I was 11 weeks along, but the baby was measuring 9 weeks! That was a bummer, but no biggie. I actually have 2 sacs, but my Dr. said it looks like another baby never formed. Yep, I could’ve had twins!!!! I feel a little relieved with that news, ha. See the empty sac on the left, and our little peanut on the right? **Side note: Josh’s grandma called before she knew I was pregnant and said she had a dream I was pregnant with twin baby girls! So, my bet is this baby is another girl since I ALMOST could have had twins. I mentioned a few posts back in Lily’s monthly update that I was losing my milk. I can only pump twice a day now and only get about 2-4 oz. It’s a bummer, but she’s almost a year and then I can fully wean her to cows milk. During the first trimester I was so tired! Nursing and being pregnant is no joke! I’m grateful Lily and J sleep well at night, and now I feel so much better and able to workout and have enough energy throughout the day. 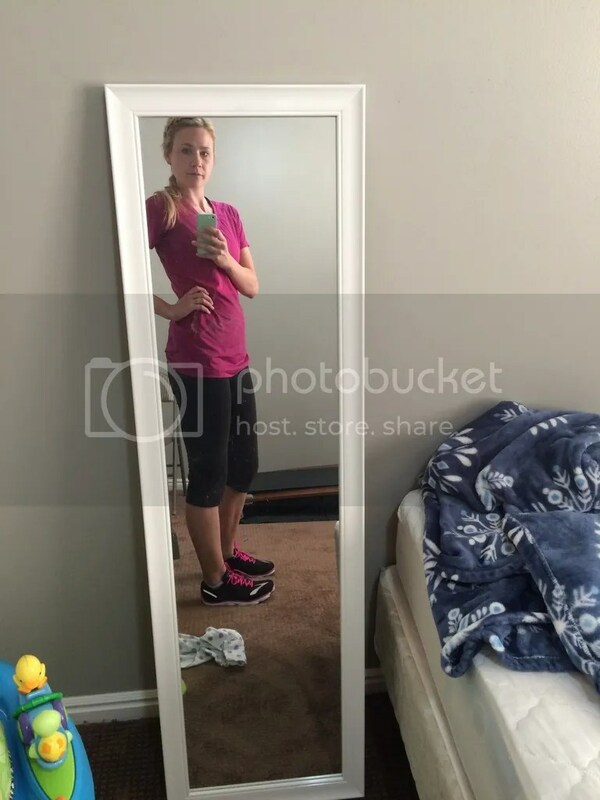 Weird pregnancy moment? Thinking for a second I was having twins! My Dr. worded it weird and I totally thought their was 2 babies in there until she clarified and said there was only one that developed, but 2 sacs. Anything making you queasy? I get pretty nauseous if I don’t eat frequently. I have to things with high protein or I’m starving again in 2 seconds. I think it’s because I’m pregnant AND nursing. I have to eat A LOT! We are thrilled to have another baby and can’t wait to find out what it is at my 20 week ultrasound. Good Lord I am so behind on your blog!! Congrats love! Hope all is well!